Dog obedience training can be a huge benefit to the pet owner who wants their dog to be a little more obedient. 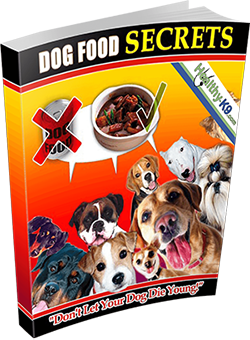 It can teach your dog everything from how to sit and shake to when it is okay for them to bark. If you hire a trainer to handle the training for you, it can also save you a whole lot of headaches. Why Use Dog Obedience Training? Dogs, like people, have a mind of their own sometimes and just like kids, you have to teach them how to know right behavior from wrong actions. In order to train your dog, you must ensure that they look at you as the more dominant person. It comes in handy when training your dog for even things as simple as housebreaking. When you use dog obedience training you will quickly discover how much easier it will be to handle your beloved pet while on walks through the park and even in your own home when guests come over to visit with you and not your dog. Unless you have nerves of steal it may be easier to hire someone to train your dog for you. However, this also depends on the behavior you hope to change. Usually a pet owner can handle the small things like housebreaking their dog but they may not know how to make him stop barking through the night and not jump on visitors as soon as they walk in the door. To make dog obedience training less frustrating for both you and your pal, you may want to get the help of a professional who understands a dog’s natural mindset. Not all dogs are stubborn just to annoy you. Chances are good; your dog does not dig to cause you problems. He may just dig because that is what his breed of dog does. You need to understand that and deal with it accordingly; otherwise you will just drive you and your best friend insane butting heads with each other. Where to go for Dog Obedience Training? If you have determined that you cannot deal with your pet’s unruly behavior and you need a professional dog trainer to handle it for you, you do have options. Not all of them will cost you an arm and a leg either. For instance, even some pet friendly stores like PetSmart offers dog training which will correct even the most unwelcome activities that your pets enjoy. Your dog is guaranteed to be better mannered when the dog obedience training is complete or you get more training for free. If you do not have a PetSmart type store near you, never fear; your dog’s veterinarian should have a few ideas of where you can go to get help training your pet. You are never without options and your family dog can become the pet you have always wanted him to become. All it takes is a little time, a lot of love and understanding as well as a little bit of dog obedience training. How To Change Dog Behavior Using Positive Dog Training Methods?